The pick-up truck has gone from being exclusively used by farmers and small business owners, to a lifestyle vehicle used by families who want a tough off-roader for some weekend adventures. Our three experienced motoring journalists, Racing driver Vicki Butler-Henderson, Millennial Rachael Hogg, and mum Erin Baker (REV!) 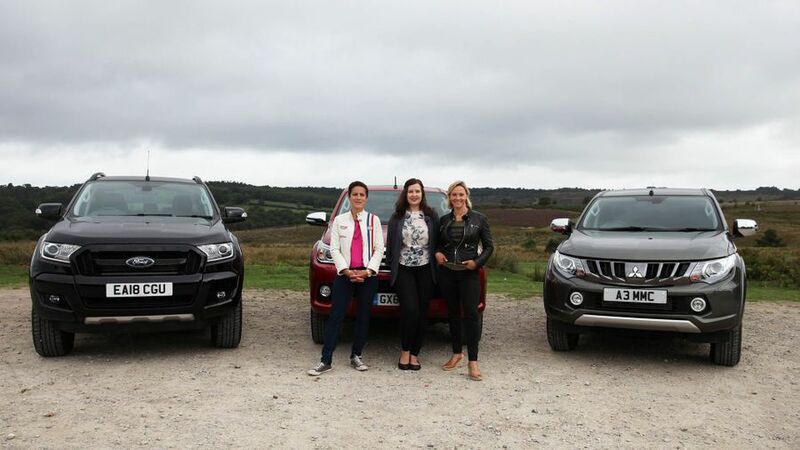 are testing three of the UK's most popular pick-ups – the rugged and tough Toyota Hilux, Mitsubishi L200 and the spacious and lifestyle-focused Ford Ranger – based on how people search for them at Auto Trader.